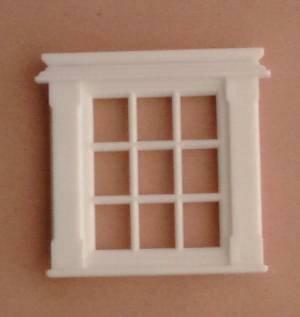 1/24th scale Georgian style white plastic window with 9 panes. 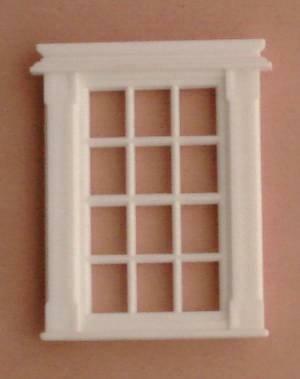 Can be used either way up and with or without a pediment (not included). Overall size 54mm x 56mm (at widest point). 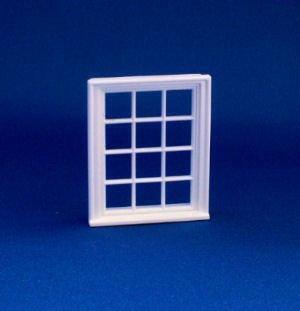 Size of opening needed 48mm x 39mm wide.